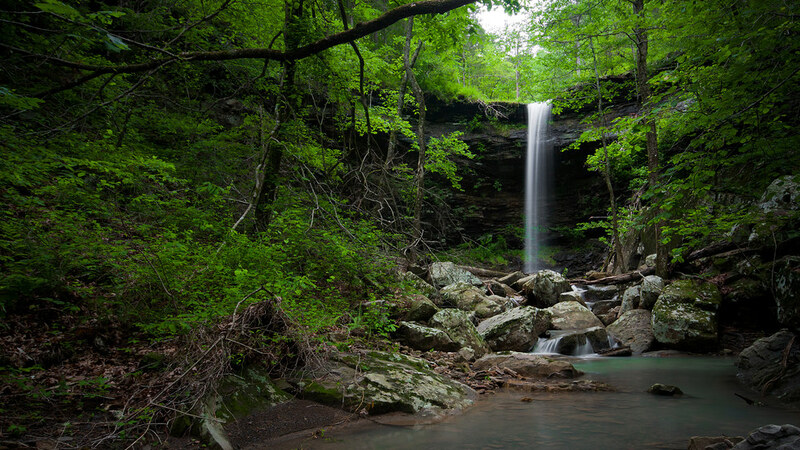 I’ve actually been spending every moment outside of work putting together a website which will guide you to most if not all of the currently discovered waterfalls in Arkansas. It’s going to be a great resource for waterfall hunters such as myself to find and explore already discovered waterfalls. Not only that, it will allow waterfall hunters to add their new discoveries to share with everyone else. I’m looking forward to completing it and am trying my best to have it done before the next waterfall hunting season so that everyone will be able to use it to their hearts extent. Anyways, enough selfless promotion for one post. I hope you enjoy this photograph of Penhook Hollow Falls that I captured in the spring of 2011. Here’s to hoping for many more such as this during the next waterfall hunting season!